After nearly forty years an all-new from the ground up Mercedes-Benz G-Wagen was introduced at the Detroit Auto Show, bigger and brawnier yet more sophisticated and more efficient. 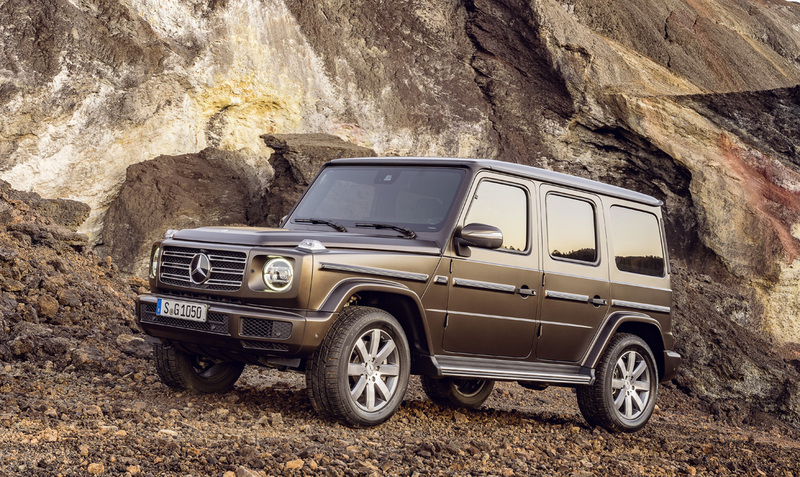 While at a distance it may look the same, the all-new 2019 Mercedes-Benz G-Class bears little in common bolt for bolt to the icon that’s been gracing the Kalahari and Rodeo Drive for the past forty years. 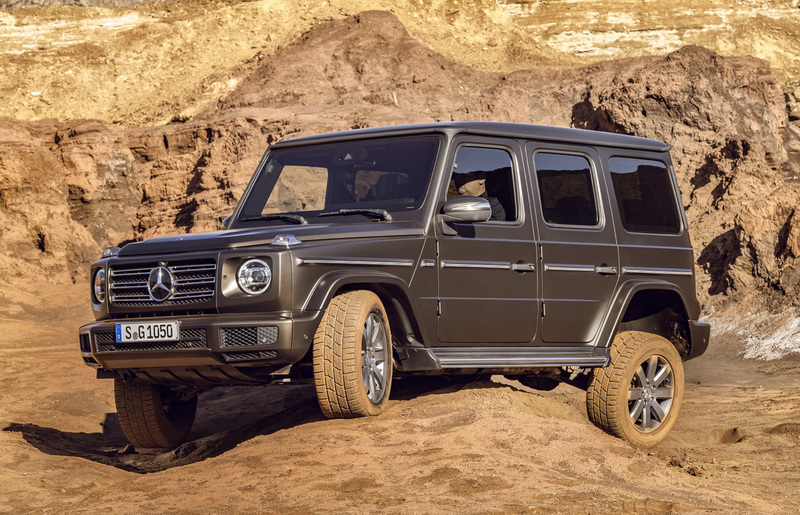 As we are the largest market for the G-Class, Mercedes-Benz chose Detroit to unveil the first major redesign of the global icon that it has become. 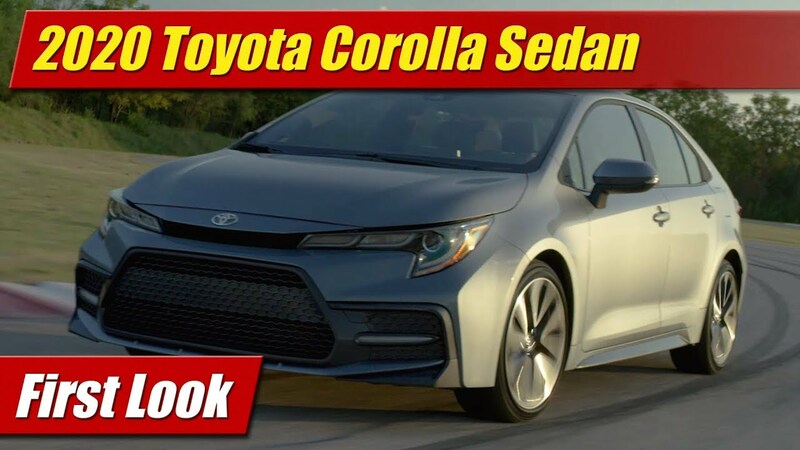 And make no mistake, they were very careful to retain all that has made it what it is since 1979 while reinventing it to survive in the new world order of customer expectations and environmental regulation. 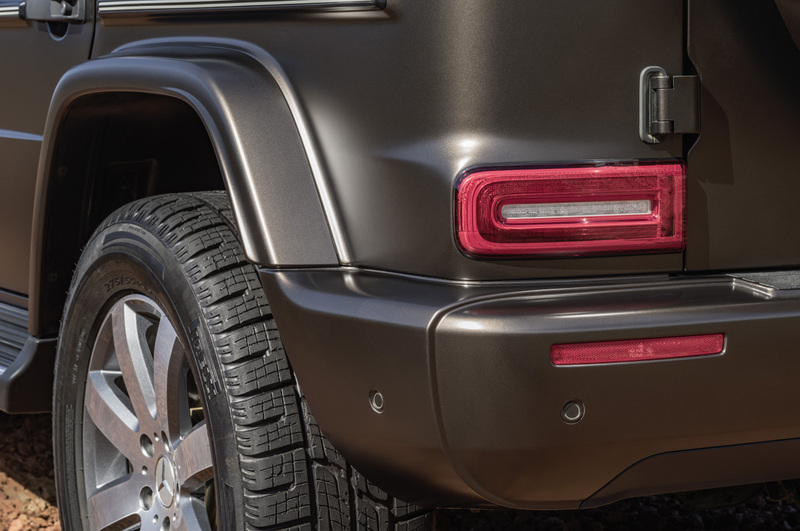 Retaining its style of boxy military grade form, its robust exterior rub strips, the exterior mounted spare, external door hinges and fender mounted turn indicators, the new G-Class might well pass for the old one but this one is significantly larger in every dimension. Some two inches longer and nearly five inches wider, it now has a more solid appearance with forms a bit more taut in some places, more rounded in others. Lighting while similar in design to the past is thoroughly modernized with LED. 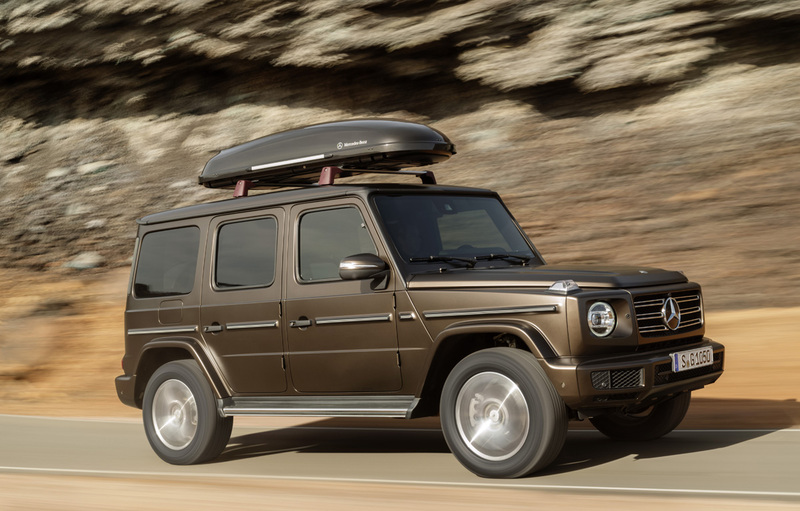 Using modern design and construction techniques have given it better aesthetics in the small details, better panel gap alignment qualities, and a higher quality build overall that first time G-Class buyers will find more befitting its modern day price range. 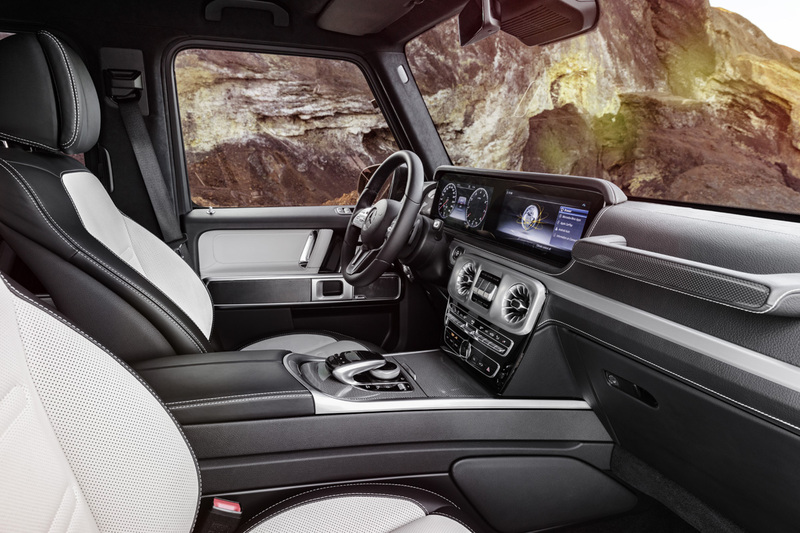 Nowhere does this approach become more apparent than in the cabin where it has been thoroughly brought up to date with modern day ergonomic design, seating options, hand-crafted quality of materials and availability of the latest technologies Mercedes-Benz cars offer up. 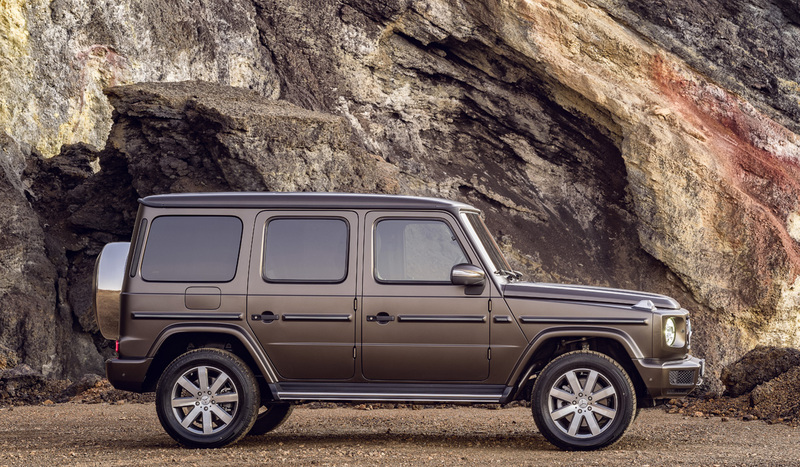 While far more modern, the G-Class retains its history in design of details like the grab handle ahead of the passenger and the upright center stack console with switchgear as well as the commanding seating position that has made it unique. While shown here with the wide dual-screen display clusters lifted from the Mercedes-Benz E and E-Class, if you’re a purist you can still choose a traditional two-dial instrument cluster and less glitzy aura. 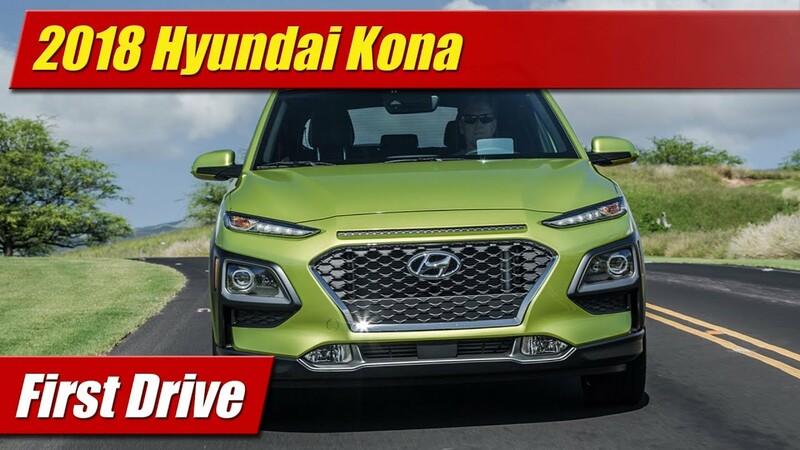 Regardless of theme, everyone will appreciate its larger proportions inside with more legroom front and rear, where passengers get nearly 6-inches more to stretch out. Its extra width also provides nearly 3-inches additional shoulder room. Cargo capacity is increased as well. 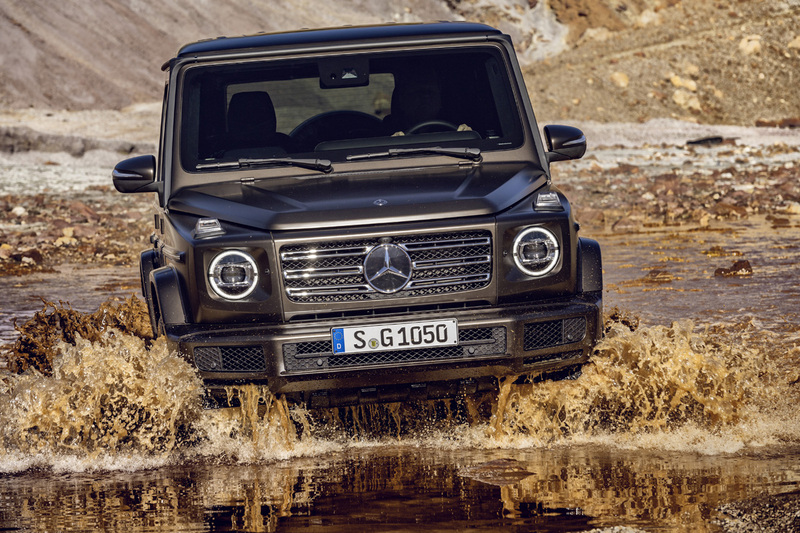 Most important to the new G-Class was not only retaining off-road capabilities but improving them. Secondly, its long complained about road manners on the pavement had to be solved. Mercedes-Benz says they have achieved both goals in spades. 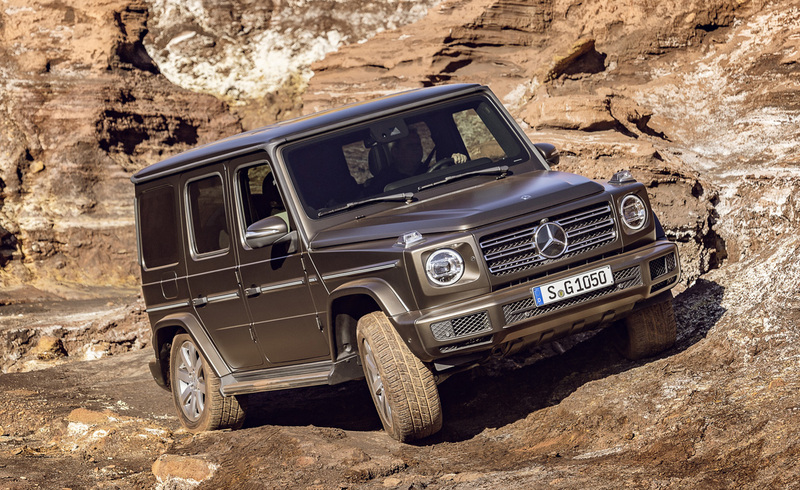 The 2019 G-Class retains its robust ladder frame, its three differential locks and true low range off-road hardware but gets a thoroughly modern suspension to make it all work better for both worlds. 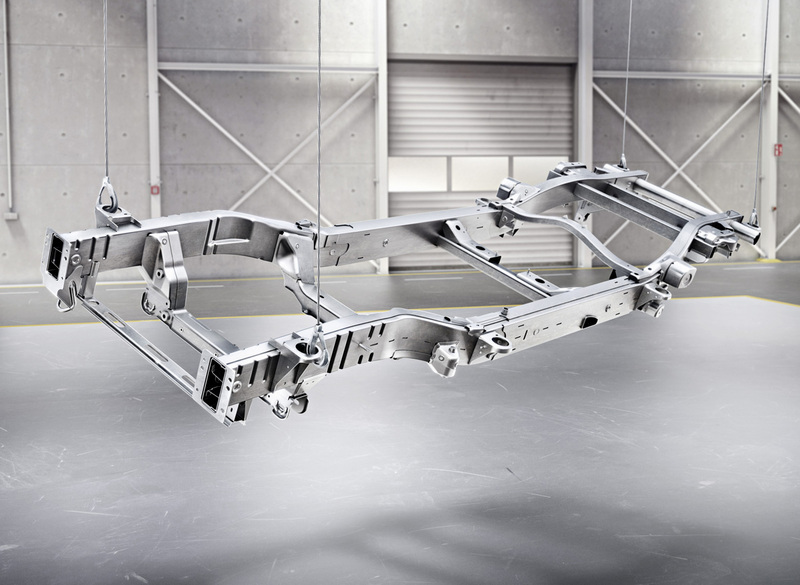 A key element is a new independent front suspension with double-wishbones mounted directly to the frame. 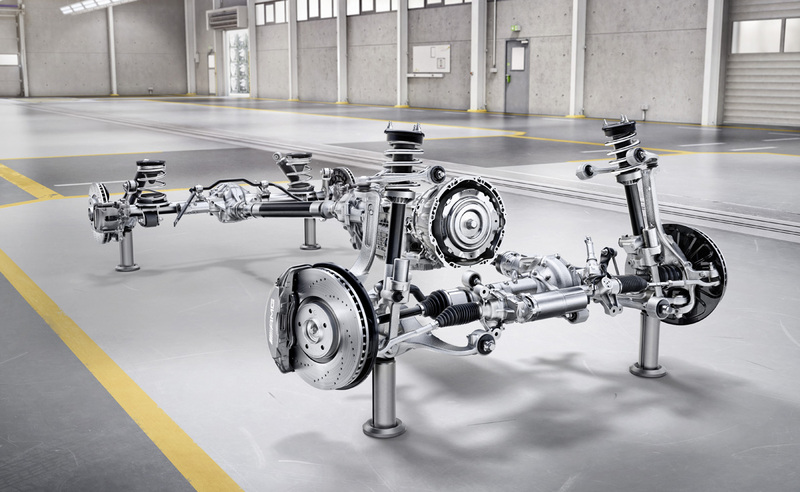 The differential is then able to be moved up higher into the chassis which allows a ground clearance of 10.6-inches there. 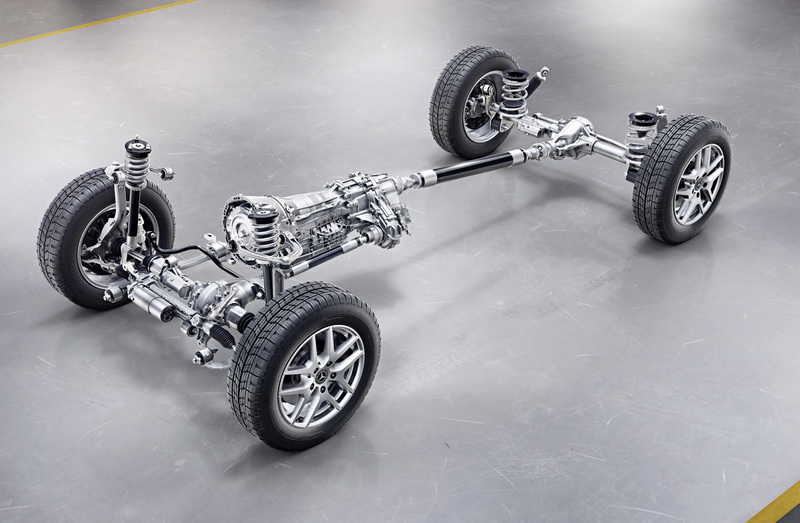 The rear suspension retains the solid axle format but gets a design of four trailing arms at each side and a Panhard rod to locate and control it. 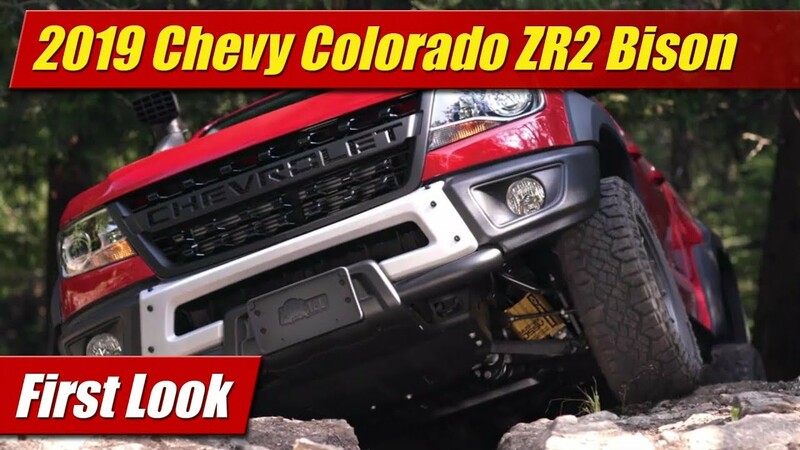 Articulation both front and rear is improved for off-roading which ends up with improved metrics across the board. Maximum water fording depth is now 27.6-inches, up nearly 4-inches. The break-over angle has been improved to 26°, departure angle of 30° and approach angles of 31° both also improved. The new chassis also allows for an optional adaptive damping system tied to all the modes of the DYNAMIC SELECT system. New here is “G-Mode” which adapts the adjustable dampers, the steering, throttle mapping and traction control systems for extreme off-road conditions. 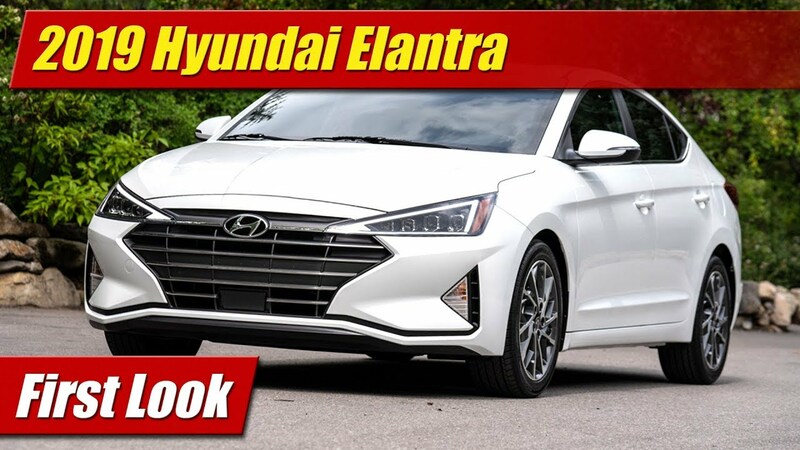 A new electric rack-and-pinion steering system along with the stiffer frame, modern suspension and drive modes should provide for a much more stable and direct handling experience on the pavement where most drivers will actually spend their time. 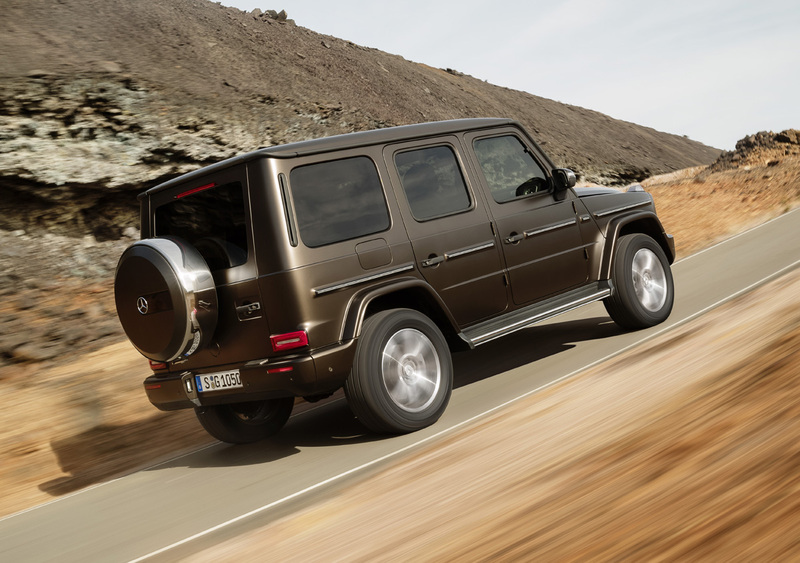 Mercedes-Benz says that here, the majority of drivers and customers will notice the greatest strides in comfort, ease of use, and every day comfort living with the new G-Class. 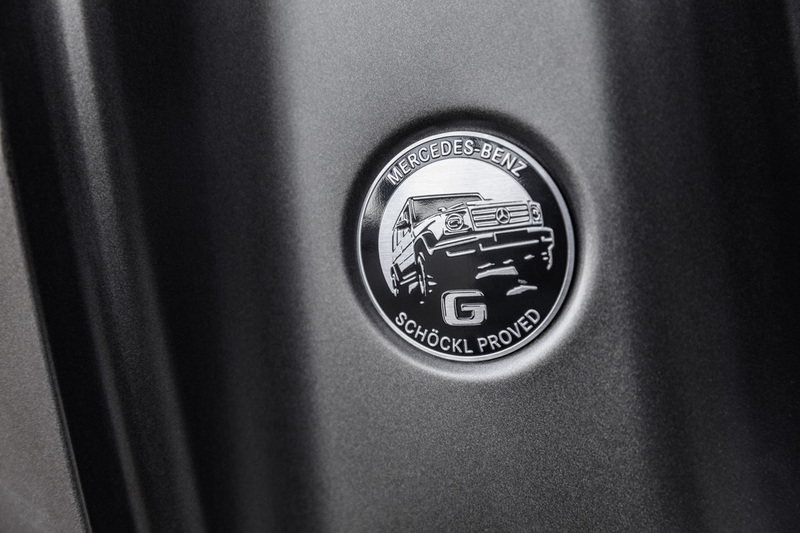 At launch in the United States, we will get the G 550 with a 4.0-liter twin-turbocharged V8 engine with 416 horsepower and 450 pound-feet of torque carried over from the current model but now mated to a 9-speed automatic transmission. 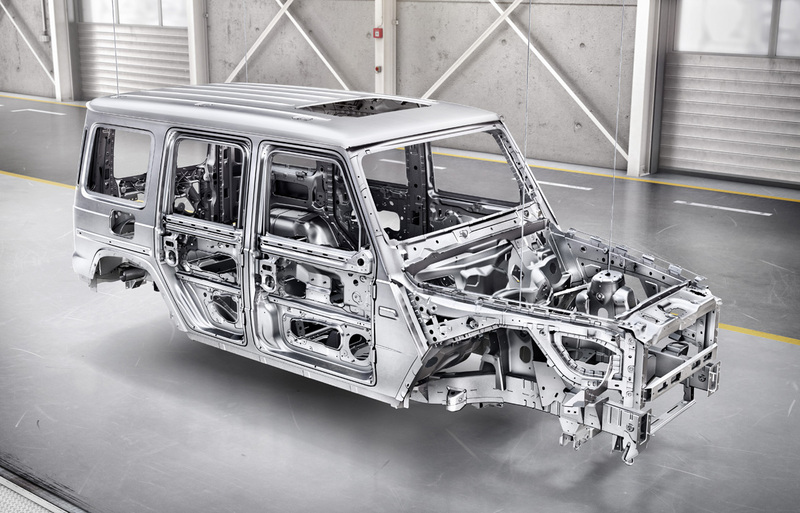 Continuing to be built in Graz, Austria, the all-new 2019 Mercedes-Benz G-Glass goes on sale here in the United States late this year.